This is a “Sweet” birthday card (see what I did there?). This was created with the new Stampin’ Up! 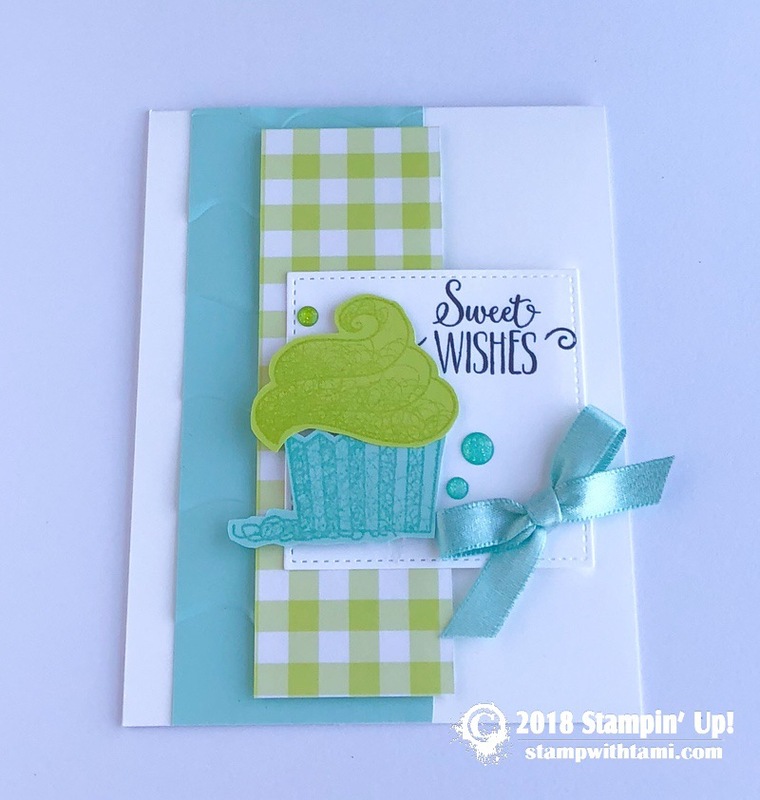 Hello Cupcake stamp set that is available free during Sale-a-bration. A touch of gingham fun with the Gingham Gala designer paper. The pool party layer is textured with the Ruffled Folder. The words are stamped in black on a square cut from the Stitched Shapes dies. The finishing touch is a bow from the Pool Party satin ribbon. Visit my CATALOGS AND RESOURCES PAGE to request your hard copy. Pretty card! Love the colors!